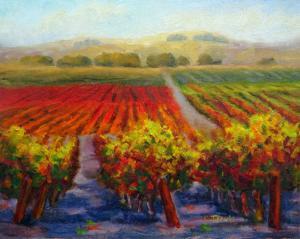 "Dry Creek" will be one of Carolyn Jarvis' oil paintings in her solo art show at Balletto Vineyards, 5700 Occidental Rd., Santa Rosa, California from January 29 to March 27, 2019. The art reception is Sunday, February 10 from 2 pm to 4 pm. Christmas will be here before you know it. Have unique Christmas presents, such as mugs, pillows, tote bags, shower curtains, and more, made out of my paintings at https://carolyn-jarvis.pixels.com. Looking for Christmas presents already? Many of my paintings can be made into home decor and other products, such as mugs, towels, shower curtains, iphone cases, tote bags and more. My "Elephant Eating" painting was made into a beach towel. 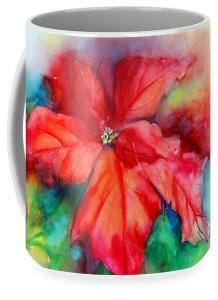 My "Poisettia" painting was made into a mug. Come to the Apple Blossom Festival at the Sebastopol Center for the Arts, 282 S. High Street, Sebastopol, California on April 21 and 22, 2018 for music, food, art and fun. 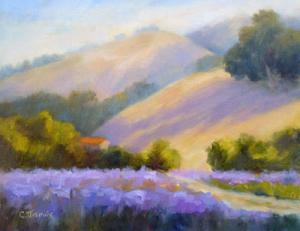 There will be a free art reception on Friday evening, April 20 at the Sebastopol Center for the Arts. To buy holiday wall art (canvas, metal or wood prints), home décor items (throw pillows, tote bags, duvet covers, mugs) or clothing made from Carolyn Jarvis' paintings, visit my Fine Art America website at https://fineartamerica.com/profiles/carolyn-jarvis.html?tab=artworkgalleries&artworkgalleryid=358545. 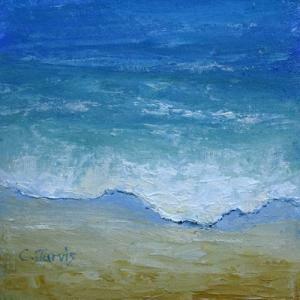 Buy NEW, small, oil paintings of Carolyn Jarvis. 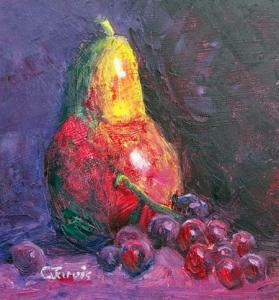 Visit http://www.carolynjarvisartist.com/ for more information. 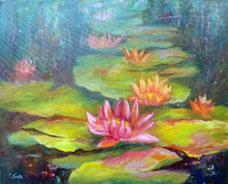 See the art show at the Slice of Life Restaurant, 6970 McKinley Avenue, Sebastopol, CA. Ten of Carolyn Jarvis' paintings are on display at the Slice of Life Restaurant from July 20 through September 20, 2017. 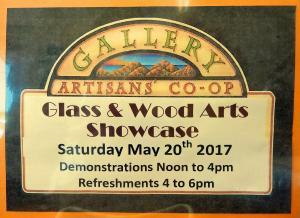 Visit the Artisans' Co-Op Gallery Glass and Wood Showcase in Bodega, California on May 20, 2017. There will be demonstrations from 12 noon to 4 pm and refreshments from 4 pm to 6 pm. In addition to glass and wood products, pottery, photographs, paintings, jewelry and many other arts and crafts from local artisans are available for sale at the gallery. 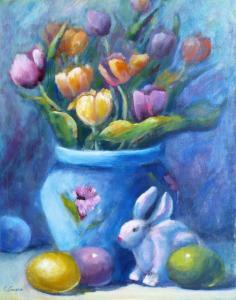 Reproductions of this Easter painting is available at https://fineartamerica.com/profiles/carolyn-jarvis.html?tab=artworkgalleries&artworkgalleryid=152002. 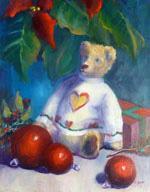 I will be showing paintings in the 49th annual Apple Blossom Festival Art Show. Come to the free art show reception at the Sebastopol Center for the Arts, 282 S. High Street, Sebastopol, California on Friday, April 21, 2017 from 7 to 9 pm. Wine and appetizers will be served at the reception. 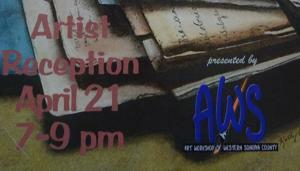 The art show will continue on April 22 from 10 am to 6 pm and on April 23 from 10 am to 5 pm. Entrance to the art show on Saturday and Sunday is included in the Apple Blossom Festival admission cost.